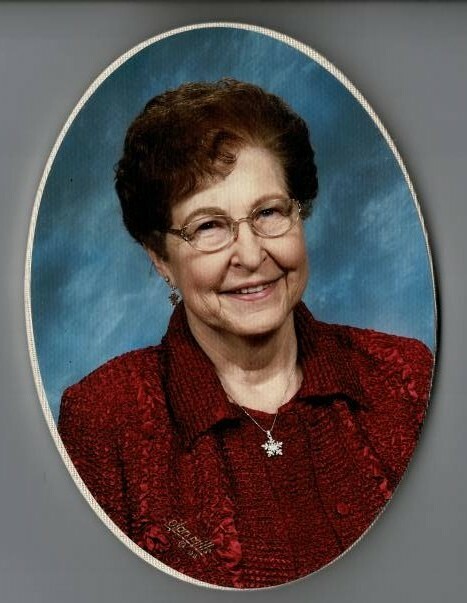 Ruth Annette Eriks, 87, of Munster, Indiana passed away peacefully on Tuesday, January 29, 2019. She is survived by her loving husband of 67 years, Cornelius "Con" Eriks, her son Dale (Judy) Eriks; two daughters, Gail (Dave) Van Kuiken and Kay (Steve) Staal; six grandchildren and 15 great grandchildren, and one sister, Jean (Henry) Huizenga. Friends are invited to visit with the family on Saturday, February 2, 2019 from 12:30 PM to 2:30 PM at Hillside Funeral Home & Cremation Center, 8941 Kleinman Road, Highland, Indiana, 46322. A Funeral Service will be held at 2:30 PM at the funeral home, immediately following visitation. Pastor Jason DeVries, officiating. Interment, Hope Cemetery, Highland, Indiana. Ruth was a member of Faith Church in Highland, Indiana. Memorials may be given to Highland Christian School, The Bible League, or Wycliffe Bible Translators.